Daily Current Affairs (June 9, 2018) like many other sections is inevitable and this also helps to score in the Banking awareness , Static GK and Financial Awareness sections. Remember, Banking Awareness and Static Awareness Questions are asked from the General Awareness section. This will also help you to ride your preparations for the forthcoming exams. The Housing and Urban Development Corporation (HUDCO) has sanctioned ₹4,000 crore loan for the LIFE Mission of the Pinarayi Vijayan government to construct homes for all the shelter-less in the State. 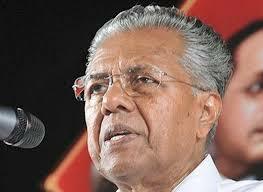 The loan will be routed through the Kerala Urban And Rural Development Finance Corporation (KURDFC). The State government will repay the loan from the Plan funds of the local government institutions. The government is planning to construct 1.75-lakh houses during the current financial year. The Interest subsidy scheme on short-term crop loans of up to Rs 3 lakh will be implemented through the DBT mode from the current financial year. The government has earmarked Rs 15,000 crore for 2018-19 towards interest subvention for short-term crop loans. As per the scheme, farmers can avail of short-term crop loans of up to Rs 3 lakh at subsidised interest rate of 7 percent that could go down to 4 per cent on prompt repayment. The Interest Subvention Scheme (ISS) 2018-19 will be required to be settled as applicable in Plan Scheme — Scheduled Caste (SC), Scheduled Tribe (ST) and North East Region (NER), among others. 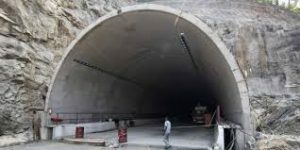 The Minister of State for Defence Subhash Ramrao Bhamre has inaugurated 578-metre-long Theng Tunnel, the longest in Sikkim. It has been constructed on Gangtok-Chungthang State Highway by the Border Roads Organisation (BRO), the double-lane tunnel bypasses a treacherous stretch of road between Sikkim’s capital Gangtok and Chungthang. 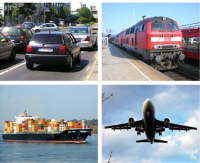 The tunnel would provide all-weather connectivity. 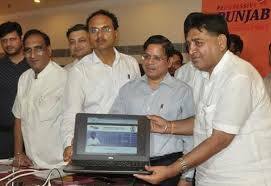 Punjab Government has launched a “Business First Portal” which was unveiled by Industry Minister Sunder Sham Arora. It has been launched in a bid to give a big push towards the ease of doing business in the State. The online portal would facilitate the industrialists for Regulatory Clearances and Fiscal Approvals, real time tracking of applications at common platform. The Minister said that the State Government is committed for ensuring 100% VAT refund to industrialists by the end of this year. The entire VAT refund would be given to the industrialists by releasing installment worth Rs 300 crore to them after every two months. Finance Minister Piyush Goyal announced that a committee would come out with its recommendations on setting up an asset reconstruction or an asset management company for faster resolution of bad loans. 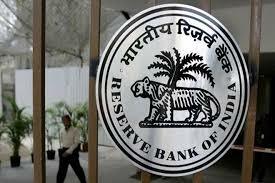 The committee will be headed by Punjab National Bank’s non-executive Chairman Sunil Mehta. 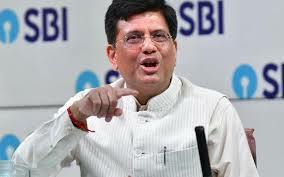 Goyal said discussions during the meeting focused on credit flow and banks devising mechanism to ensure credit flow to good borrowers should not face difficulties. 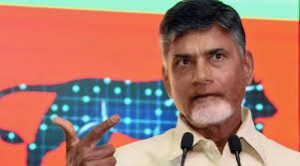 Andhra Pradesh has been declared as the Open Defecation Free (ODF) State.Chief Minister Chandrababu Naidu said the State achieved the national cleanliness goal by constructing 2.77 lakh individual toilets. A documentary film explaining the efforts made to reach ODF goal was also screened on the occasion. AP stood first among all the States in the country and achieved ODF status. Naidu also unveiled a plaque to mark the launch of 17,064-km length of CC roads in the State. 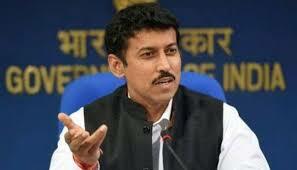 The Minister of Youth Affairs and Sports Rajyavardhan Rathore has approved the upward revision of pension to meritorious sportspersons. Following the upward revision of pension, the medallist at the Olympic/ Para-Olympic Games will get Rs.20,000 while a gold medallist at World Cup/World Championship in Olympic and Asian Games disciplines will get Rs.16,000. The medal winners at the Olympic Games were earlier getting Rs 10,000 per month while gold medallists at the World Cup/World Championships in Olympic and Asian Games disciplines were receiving Rs 8,000 per month. Silver/bronze medallist at World Cup/World Championship in Olympics and Asian Games disciplines and gold medallist in Asian Games/Commonwealth Games/Para Asian Games will now get Rs.14,000 from earlier Rs 7,000 per month. 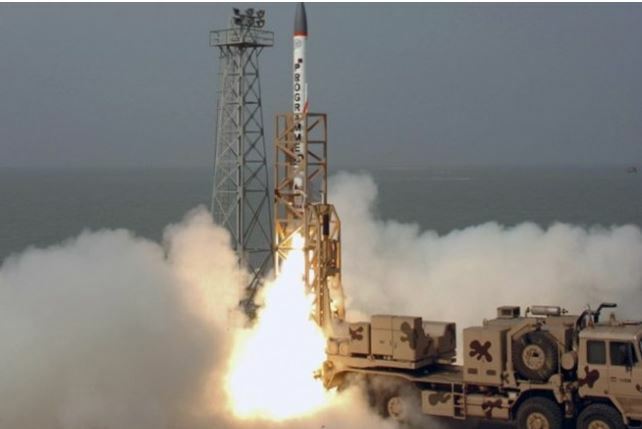 Silver and Bronze medallist in Asian Games/Commonwealth Games/Para Asian Games will get Rs.12,000. 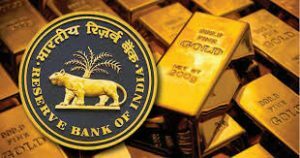 The Reserve Bank of India has amended the Gold Monetisation Scheme (GMS) 2015, whereby deposits can be placed with banks for broken periods such as one year three months, or 13 years four months 15 days. 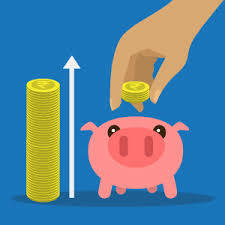 The designated banks are free to fix the interest rates on short-term bank deposits (STBDs), which are for a short period of one to three years (with a facility of roll over).The interest is credited to the deposit accounts on the respective due dates, and can be withdrawn periodically or at maturity, as per the terms of the deposit. However, any pre-mature redemption of Medium and Long Term Government Deposit MLTGD shall be only in rupees. Where the redemption of the deposit is in gold, an administrative charge shall be collected from the depositor. The interest accrued on MLTGD shall be calculated with reference to the value of gold in terms of rupees at the time of deposit and will be paid only in cash. 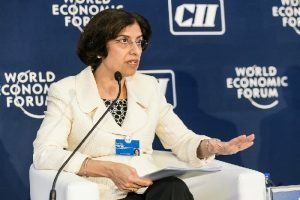 The World Economic Forum (WEF) has appointed Sarita Nayyar to its Managing Board. In addition to her role as the Chief Operating Officer (COO) for the World Economic Forum LLC, Nayyar will help lead the international expansion of the Forum’s centre for the Fourth Industrial Revolution Network. Nayyar will also lead the Forum’s international expansion with new centres opening in India, Japan and China. 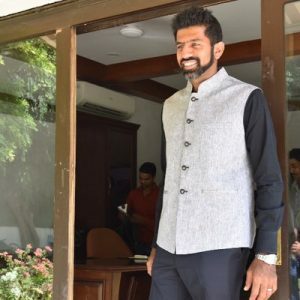 Rohan Bopanna receives the “Sports Icon of Year” award at the conclusion of the Sports Conclave. He is the doubles specialist and mixed doubles winner at Roland Garros last year. 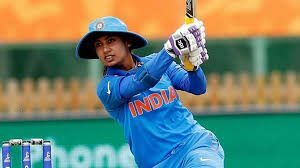 India cricketer Mithali Raj has become the first batter from the country to score 2000 runs in T20I cricket. She achieved the feat during India’s Women’s T20 Asia Cup match against Sri Lanka in Kuala Lumpur. Mithali is the seventh woman batter to score 2,000 runs in T20Is, a list which is topped by Charlotte Edwards (2,605), followed by Stafanie Taylor (2,582) and Suzie Bates (2,515). When it comes to men’s T20I, the list is led by Martin Guptill (2271) followed by Brendon McCullum (2140) and Virat Kohli (1983). 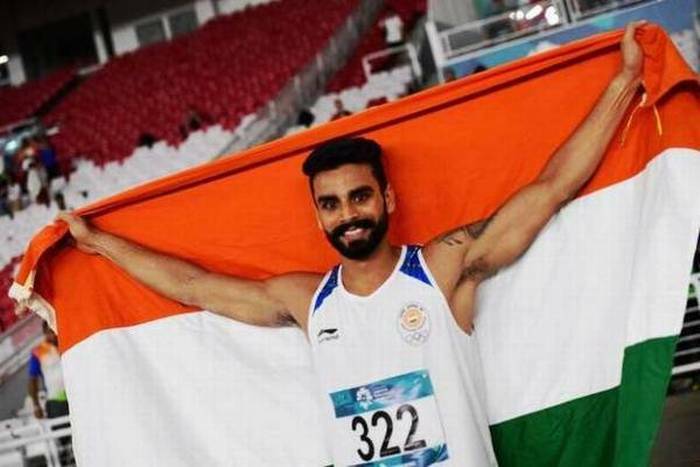 India got their campaign at the 2018 Asian Junior Athletics Championships off to a strong start winning four medals a gold, a silver and two bronze on the first day of the four-day event in Gifu, Japan. 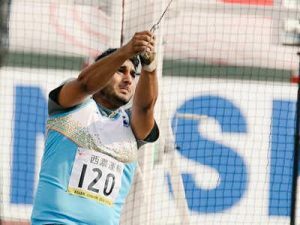 Shish Jakhar has set a new national record and won a gold medal in the men’s hammer throw event. He threw the 6 kg iron ball and chain to a distance of 76.86m at the Gifu Nagaragawa Stadium. 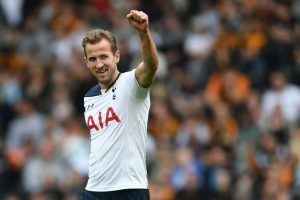 The lead striker from the English National Team, Harry Kane is named as most valuable player for the upcoming FIFA World Cup, which is set to begin from June 14. Lionel Messi from the Spanish club FC Barcelona is at the fourth position with estimated transfer value at 184.2 million euros. The 25-year-old Egyptian player Mohamed Salah, who represents Liverpool completes the top five and is worth 171.3 million euros. In the list, Kane is followed by Brazilian ace player Neymar, who is worth 197.5 million euros and Kylian Mbappé worth 186.5 million euros. 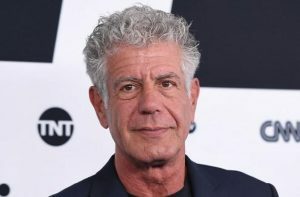 The US celebrity chef Anthony Bourdain, host of CNN’s food-and-travel-focused Parts Unknown television series has passed away. The New Yorker magazine published his article Don’t Eat Before Reading This, which he developed into the 2000 book, “Kitchen Confidential: Adventures in the Culinary Underbelly”. The Brazilian tennis legend Maria Bueno has passed away. 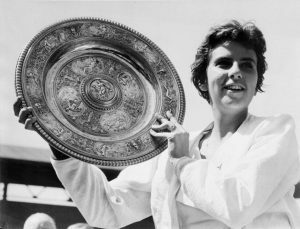 Bueno won three Wimbledon singles titles and four at the US Open in the 1950s and 1960s. She won 19 Grand Slam titles overall. She had been nicknamed “The Tennis Ballerina” because of her graceful style.